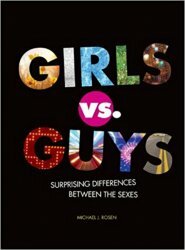 Amusing and informative, these quirky questions and answers will have males and females rethinking their notions of differences between the genders. So, really: Who is better at lying? Who should be more afraid of lightning? Who makes plants grow taller? Who's got more cooties? Guys or girls?